Vesper Bar is a funky, eclectic bar located just past the check in desk lobby and immediately lets you know the type of experience you can expect to find at Cosmopolitan. This place exudes cool and has frequently drawn comparisons to something you would find in a James Bond movie, which is exactly what they are going for. many public seating areas that still somehow feel intimate. Even the light fixtures compliment the space and illusion. 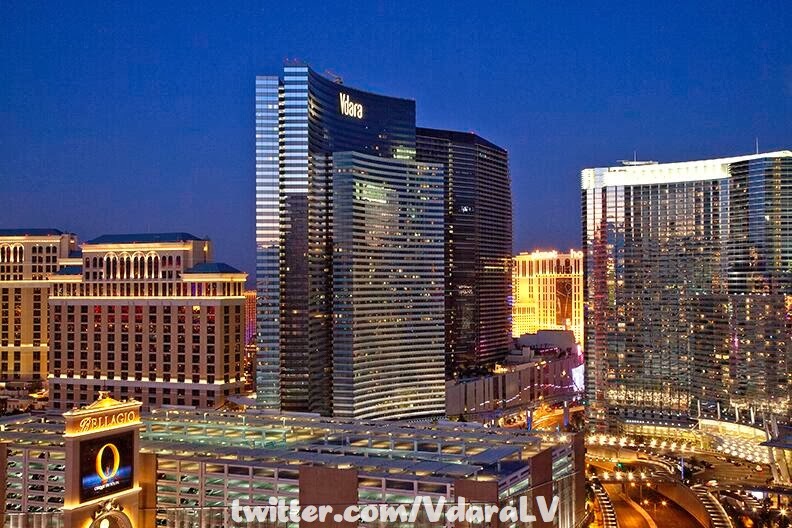 This week’s winner goes to @VdaraLV for a photo they shared of their property taken from what looks like the Panorama Condo Towers across I-15. 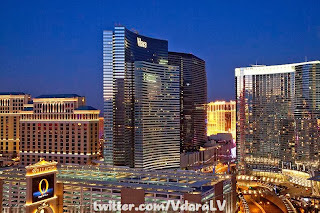 The photo captures the Vdara tower surrounded by a little bit of Bellagio, Cosmopolitan, Planet Hollywood and Aria. What I really like about this picture is how urban on modern it shows that the Strip has evolved into. Specifically the Vdara and Aria tower look like buildings you would find in Tokyo or Hong Kong. But that is also what I don’t like about this picture. The Vegas strip shouldn’t look like any other place on the planet. I don’t want to see it evolve into either of those places. I like how antithetic one building looks to the next. I want to stay in a pyramid and look outside my window at a colorful, cartoon version of a medieval castle. Which brings me back to what I like about the picture. Vdara & Aria represent how different the Vegas strip looks compared to other cities. So in that aspect, this style of building has a place on the strip. That being said, we don’t need anymore like them. It also makes me excited to see the return of theme in what Resorts world has planned. Fingers crossed, they don’t decide to be subtle.